1. Place first 7 ingredients (almond milk through ice cubes) in your Blendtec or Vitamix. 2. 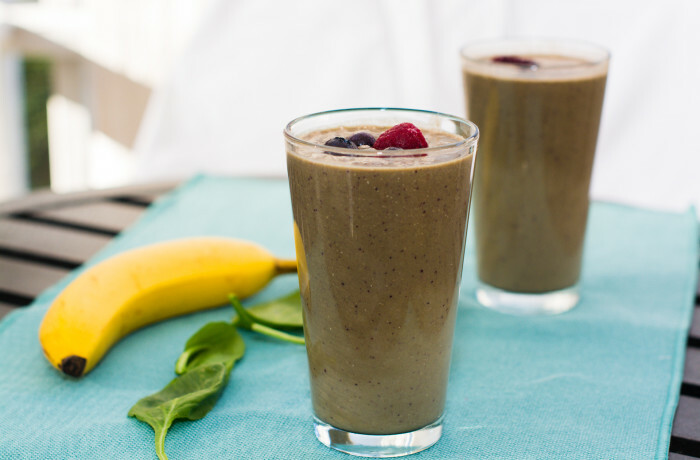 Blend using the Smoothie function. 3. Add your favorite whey protein. 4. Pulse for 5 seconds. 5. Pour into a tall glass and enjoy!